The records of prayer’s achievements are encouraging to faith, cheering to the expectations of saints, and an inspiration to all who would pray and test its value. Prayer is no mere untried theory. It is not some strange unique scheme, concocted in the brains of men, and set on foot by them, an invention which has never been tried nor put to the test. Prayer is a Divine arrangement in the moral government of God, designed for the benefit of men and intended as a means for furthering the interests of His cause on earth, and carrying out His gracious purposes in redemption and providence. Prayer proves itself. It is susceptible of proving its virtue by those who pray. Prayer needs no proof other than its accomplishments. “If any man will do his will, he shall know of the doctrine.” If any man will know the virtue of prayer, if he will know what it will do, let him pray. Let him put prayer to the test. How much of prayer do all these unpossessed, alienated provinces of earth demand in order to enlighten them, to impress them and to move them toward God and His Son, Jesus Christ? Had the professed disciples of Christ only have prayed in the past as they ought to have done, the centuries would not have found these provinces still bound in death, in sin, and in ignorance. Alas! how the unbelief of men has limited the power of God to work through prayer! What limitations have disciples of Jesus Christ put upon prayer by their prayerlessness! How the Church, with her neglect of prayer, has hedged about the Gospel and shut up doors of access! Prayer possibilities open doors for the entrance of the Gospel: “Withal praying also for us that God would open to us a door of utterance.” Prayer opened for the Apostles doors of utterance, created opportunities and made openings to preach the Gospel. The appeal by prayer was to God, because God was moved by prayer. God was thereby moved to do His own work in an enlarged way and by new ways. Prayer possibility gives not only great power, and opens doors to the Gospel, but gives facility as well to the Gospel. Prayer makes the Gospel to go fast and to move with glorious fastness. A Gospel projected by the mighty energies of prayer is neither slow, lazy nor dull. It moves with God’s power, with God’s effulgence and with angelic swiftness. “Brethren, pray for us that the word of the Lord may have free course and be glorified,” is the request of the Apostle Paul, whose faith reached to the possibilities of prayer for the preached Word. The Gospel moves altogether too slowly, often timidly, and with feeble steps. What will make this Gospel go rapidly like a race runner? What will give this Gospel Divine effulgence and glory, and cause it to move worthy of God and of Christ? The answer is at hand. Prayer, more prayer, better prayer will do the deed. This means of grace will give fast going, splendour and divinity to the Gospel. Jesus puts fruit-bearing and fruit-remaining, ripe, unwithered, and rich fruit, that prayer might come to its full possibilities in order that the Father might give. Here we have again the undefined and unlimited word, “whatsoever,” as covering the rights and the things for which we are to pray in the possibilities of prayer. Here is a very definite exhortation from our Lord to largeness in praying. Here we are definitely urged by Him to ask for large things, and announced with the dignity and solemnity indicated by the double amen, “Verily, Verily.” Why these marvellous urgencies in this last recorded and vital conversation of our Lord with His disciples? The answer is that our Lord might prepare them for the New Dispensation, in which prayer was to have such marvellous results, and in which prayer was to be the chief agency to conserve and make aggressive His Gospel. In our Lord’s language to His disciples about choosing them that should bear fruit, in this affluent statement of our Lord, He clearly teaches us that this matter of praying and fruit-bearing is not a petty business of our choice, or a secondary matter in relation to other matters, but that He has chosen us for this very business of praying. He had specially in mind our praying, and He has chosen us of His own Divine selection, and He expects us to do this one thing of praying and to do it intelligently and well. For He before says that He had made us His friends, and had brought us into bosom confidence with Him, and also into free and full conference with Him. The main object of choosing us as His disciples and of friendship for Him was that we might be the better fitted to bear the fruit of prayer. Let us not forget that we are noting the possibilities of the true praying ones. “Anything” is the word of area and circumference. How far it reaches we may not know. How wide it spreads, our minds fail to discover. What is there which is not within its reach? Why does Jesus repeat and exhaust these words, all-inclusive and boundless words, if He does not desire to emphasize the unbounded magnificence and illimitable munificence of prayer? Why does He press men to pray, so that our very poverty might be enriched and our limitless inheritance by prayer be secured? The benefits, the possibilities and the necessity of prayer are not merely subjective but are peculiarly objective in their character. Prayer aims at a definite object. Prayer has a direct design in view. Prayer always has something specific before the mind’s eye. There may be some subjective benefits which accrue from praying, but this is altogether secondary and incidental. Prayer always drives directly at an object and seeks to secure a desired end. Prayer is asking, seeking and knocking at a door for something we have not, which we desire, and which God has promised to us. Prayer is a direct address to God. “In everything let your requests be made known unto God.” Prayer secures blessings, and makes men better because it reaches the ear of God. Prayer is only for the betterment of men when it has affected God and moved Him to do something for men. Prayer affects men by affecting God. Prayer moves men because it moves God to move men. 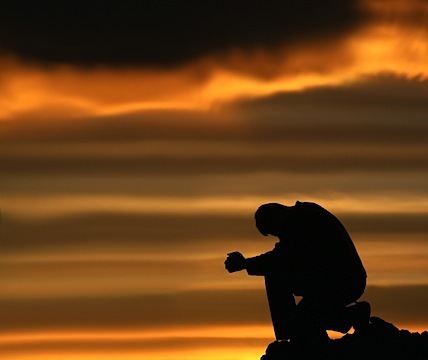 Prayer influences men by influencing God to influence them. Prayer moves the hand that moves the world. Unfortunately we have failed to lay ourselves out in praying. We have limited the Holy One of Israel. The ability to pray can be secured by the grace and power of the Holy Spirit, but it demands so strenuous and high a character that it is a rare thing for a man or woman to be on “praying ground and on pleading terms with God.” It is as true to-day as it was in the days of Elijah, that “the fervent, effectual prayer of a righteous man availeth much.” How much such a prayer avails, who can tell? God’s omnipotent power is the basis of omnipotent faith and omnipotent praying. “All things are possible to him that believeth,” and “all things whatsoever” are given to him who prays. God’s decree and death yield readily to Hezekiah’s faith and prayer. When God’s promise and man’s praying are united by faith, then “nothing shall be impossible.” Importunate prayer is so all-powerful and irresistable that it obtains promises, or wins where the prospect and the promise seem to be against it. In fact, the New Testament promise includes all things in heaven and in earth. God, by promise, puts all things He possesses into man’s hands. Prayer and faith put man in possession of this boundless inheritance. The prayer of Solomon at the dedication of the temple is the product of inspired wisdom and piety, and gives a lucid and powerful view of prayer in the wideness of its range, the minuteness of its details, and its abounding possibilities and its urgent necessity. How minute and exactly comprehending is this prayer! National and individual blessings are in it, and temporal and spiritual good is embraced by it. Individual sins, national calamities, sins, sickness, exile, famine, war, pestilence, mildew, drought, insects, damage to crops, whatever affects husbandry, enemies-whatsoever sickness, one’s own sore, one’s own guilt, one’s own sin — one and all are in this prayer, and all are for prayer. “Call unto me, and I will answer thee, and show thee great things and difficult, which thou knowest not.” How broad these words of the Lord, how great the promise, how cheering to faith! They really challenge the faith of the saint. Prayer always brings God to our relief to bless and to aid, and brings marvellous revelations of His power. What impossibilities are there with God? Name them. “Nothing,” He says, “is impossible to the Lord.” And all the possibilities in God are in prayer. And God was specific in His answer. A man child God gave her, a man indeed he became. He was the creation of prayer, and grew himself to a man of prayer. He was a mighty intercessor, especially in emergencies in the history of God’s people. The epitome of his life and character is found in the statement, “Samuel cried unto the Lord for Israel, and the Lord heard him.” The victory was complete, and the Ebenezer was the memorial of the possibilities and necessity of prayer. Says he at another time in speaking to the Lord’s people, “Moreover, as for me, God forbid that I should sin against the Lord in ceasing to pray for you.” These great occasions show how this notable ruler of Israel made prayer a habit, and that this was a notable and conspicuous characteristic of his dispensation. Prayer was no strange exercise to Samuel. He was accustomed to it. He was in the habit of praying, knew the way to God, and received answers from God. Through him and his praying God’s cause was brought out of its low, depressed condition, and a great national revival began, of which David was one of its fruits. Samuel was one of the notable men of the Old Dispensation who stood out prominently as one who had great influence with God in prayer. God could not deny him anything he asked of Him. Samuel’s praying always affected God, and moved God to do what would not have otherwise been done had he not prayed. Samuel stands out as a striking illustration of the possibilities of prayer. He shows conclusively the achievements of prayer. To reach God, to know God, and to conquer God, that was the demand of this critical hour. Jacob was alone, and all night witnessed to the intensity of the struggle, its changing issues, and its veering fortunes, as well as the receding and advancing lines in the conflict. Here was the strength of weakness, the power of self-despair, the energy of perseverance, the elevation of humility, and the victory of surrender. Jacob’s salvation issued from the forces which he massed in that all-night conflict. What forces lie in importunate prayer! What mighty results are gained by it in one night’s struggle in praying! God is affected and changed in attitude, and two men are transformed in character and destiny. The Syrophenician woman prayed for the health things. In fact the Old Testament is but the record of God in dealing with His people through the Divine appointment of prayer. Abraham prayed that Sodom might be saved from destruction. Abraham’s servant prayed and received God’s direction in choosing a wife for Isaac. Hannah prayed, and Samuel was given unto her. Elijah prayed, and no rain came for three years. And he prayed again, and the clouds gave rain. Hezekiah was saved from a mortal sickness by his praying. Jacob’s praying saved him from Esau’s revenge. The Old Bible is the history of prayer for temporal blessings as well as for spiritual blessings. In the New Testament we have the same principles illustrated and enforced. Prayer in this section of God’s Word covers the whole realm of good, both temporal and spiritual. Our Lord, in His universal prayer, the prayer for humanity, in every clime, in every age and for every condition, puts in it the petition, “Give us this day our daily bread.” This embraces all necessary earthly good. Unbelief in the doctrine that prayer covers all things which have to do with the body and business affairs, breeds undue anxiety about earth’s affairs, causes unnecessary worry, and creates very unhappy states of mind. How much needless care would we save ourselves if we but believed in prayer as the means of relieving those cares, and would learn the happy art of casting all our cares in prayer upon God, “who careth for us!” Unbelief in God as one who is concerned about even the smallest affairs which affect our happiness and comfort limits the Holy One of Israel, and makes our lives altogether devoid of real happiness and sweet contentment. The promise reads, and we cannot too often refer to it, for it is the very basis of our faith and the ground on which we stand when we pray: “All things whatsoever ye ask in prayer, believing, ye shall receive.” What enumeration table can tabulate, itemize, and aggregate “all things whatsoever”? The possibilities of prayer and faith go to the length of the endless chain, and cover the unmeasurable area. What an illustrious record is this! What marvellous accomplishments, wrought not by armies, or by man’s superhuman strength, nor by magic, but all accomplished simply by men and women noted alone for their faith and prayer! Hand in hand with these records of faith’s illimitable range are the illustrious records of prayer, for they are all one. Faith has never won a victory nor gained a crown where prayer was not the weapon of the victory, and where prayer did not jewel the crown. If “all things are possible to him that believeth,” then all things are possible to him that prayeth. This entry was posted in Bible Teachings, Inspirational Messages and tagged acheivements of prayer, ask and you shall recieve, gospel and prayer, nothing impossible with prayer, possibilites of prayer, power of prayer, prayer makes things happen, satan hates prayer, things accomplished through prayer, things change with prayer. Bookmark the permalink.